At Timken Power Systems generally, and at Smith Services more specifically, our dedication to quality sets us apart from other power transmission solution providers. Sure, a lot of companies have achieved ISO certification. But there are two reasons our approach to quality is different – and we think you’ll see – more effective. First, we drove our quality program through our own best practices and standard operating procedures. Maybe that’s what 125 years of experience does for you. We did not (as so many do) hire quality consultants to “get us through the process” designed by others for the purpose of passing ISO audit protocols. We grew it from the ground up and we documented our process and controls and took the best of the best from more than a dozen TPS locations. Second, we weren’t interested in an umbrella certification that covered us at the corporate level only. Lots of companies do that and it allows them to claim “ISO Certification.” Instead, we put our SOP’s and process controls to the test by having each and every TPS site independently qualified for ISO certification. Though this strategy is risky – after all, if one site loses certification, we all do – but we decided it was the only real way to deliver on our promises to our customers. We think you’ll agree. Using state-of-the-art inspection and measurement techniques, we are equipped to answer critical operational questions from our customers. 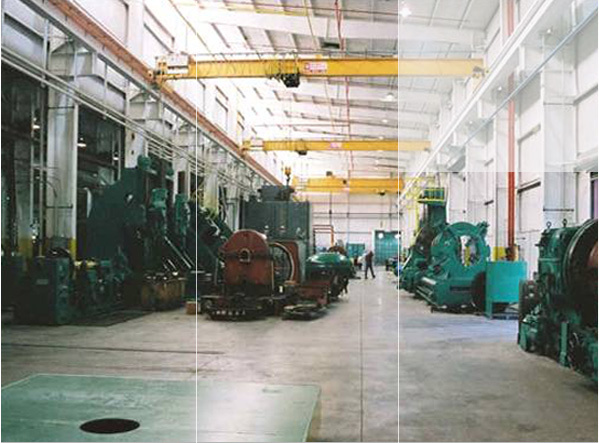 Our goal is to provide the rotating equipment decision makers with the data they need to make informed decisions.